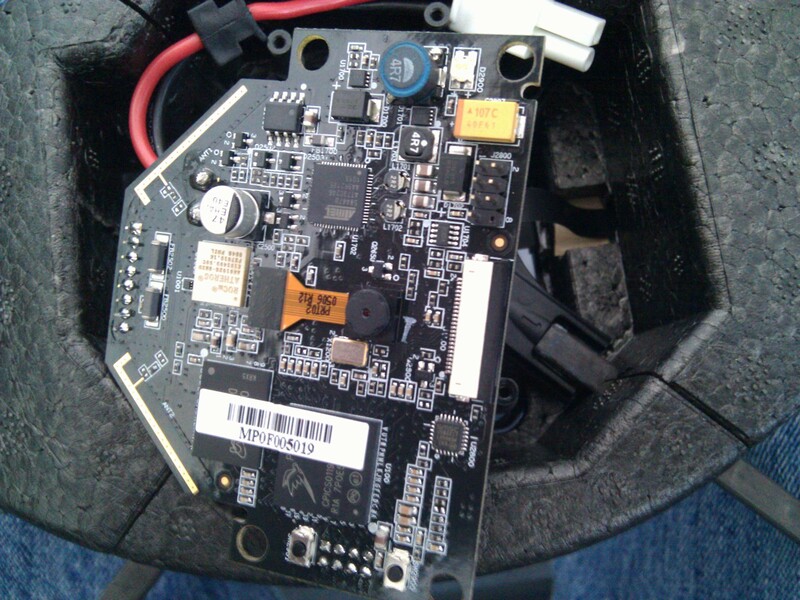 This entry was posted in All Parrot AR.Drone Things with linux insde on October 10, 2010 by kapejod. 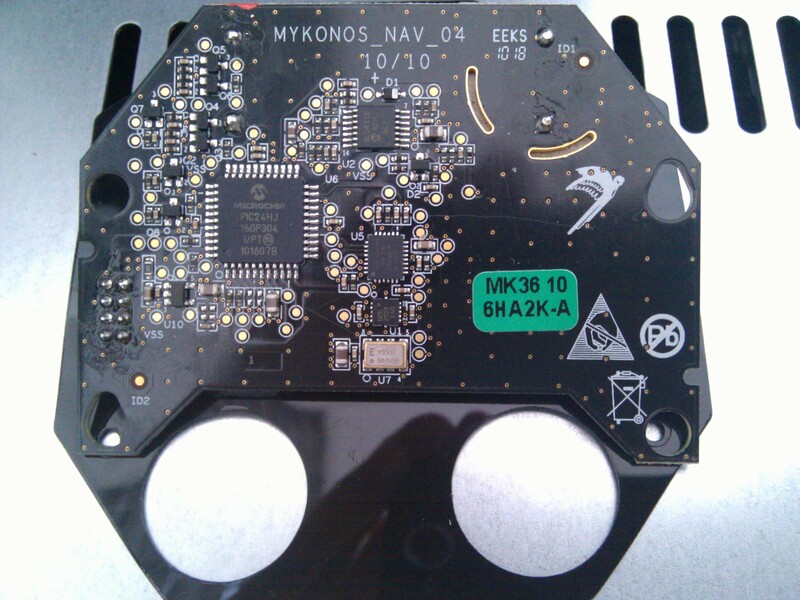 This entry was posted in All Parrot AR.Drone Things with linux insde on October 8, 2010 by kapejod. If you wondered how the update process to version 1.3.3 would look if you attached a serial console…. 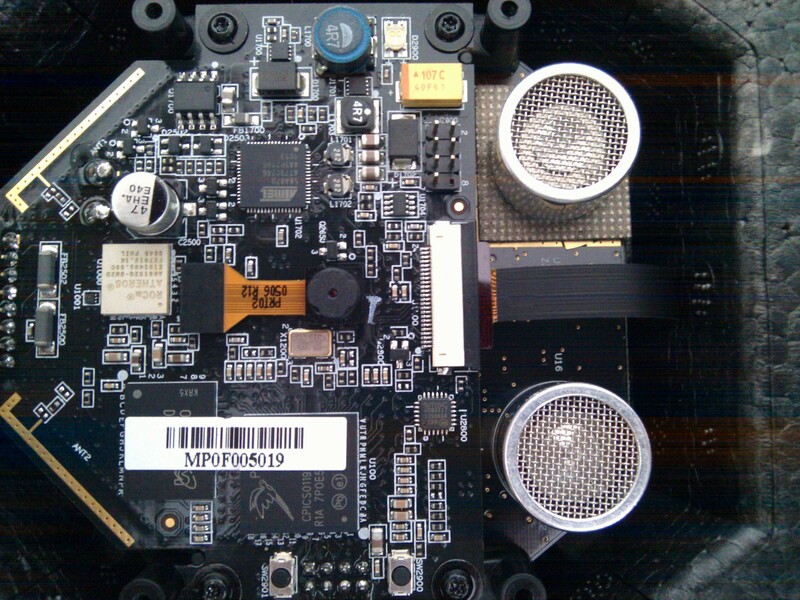 This entry was posted in All Parrot AR.Drone Things with linux insde on September 10, 2010 by kapejod. Now that i am done messing with the software and actually completing a few test flights, I figured it was about time to tear the drone apart. The only thing required is a tiny torx screwdriver (T6X20) which fortunately i had laying around on my desk because we use the same screws to tighten the GSM modules on to our GSM cards. Once you remove the plastic shielding you can see the mainboard stacked on top of the navboard (which carries the ultrasonic sender/receiver). 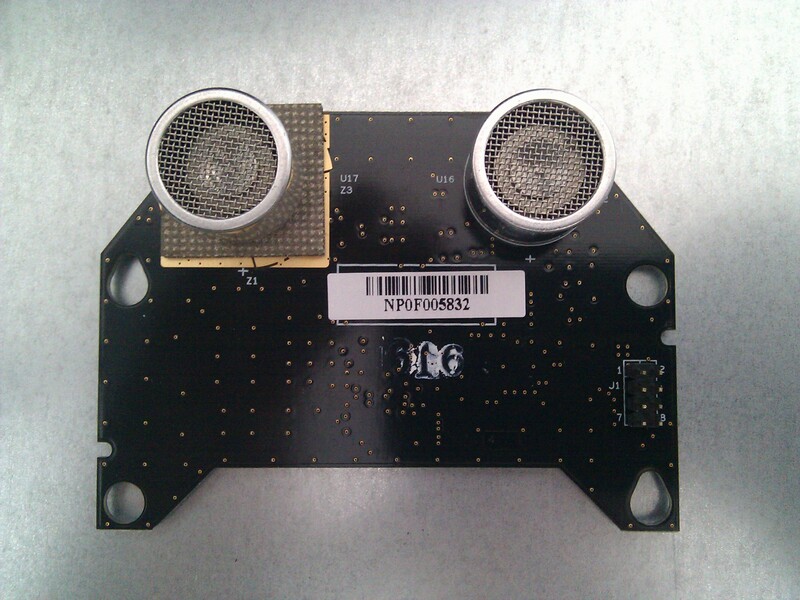 The front camera is connected with a ribbon cable coming from the right. Above that camera connector is a 7 pin USB header. 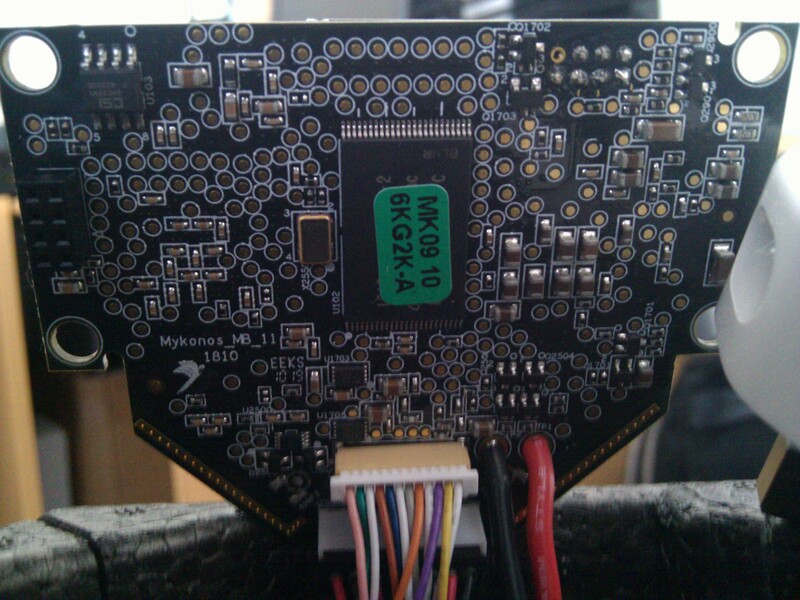 This is the navboard with the ultrasonic sender/receiver pair. The “ugly padding” on the left is probably to shield the right one from receiving the “echo” through vibrations across the pcb (instead of receving the reflected signal through the air). The 8 pin connector connects to the mainboard. The drone is really easy to take apart and also to re-assemble. It even does work again. This entry was posted in All Parrot AR.Drone Things with linux insde on August 20, 2010 by kapejod. Finally I got my hands on a Parrot AR.Drone! 299 Euros bought me a wifi-pilotable quadro-copter with linux inside. 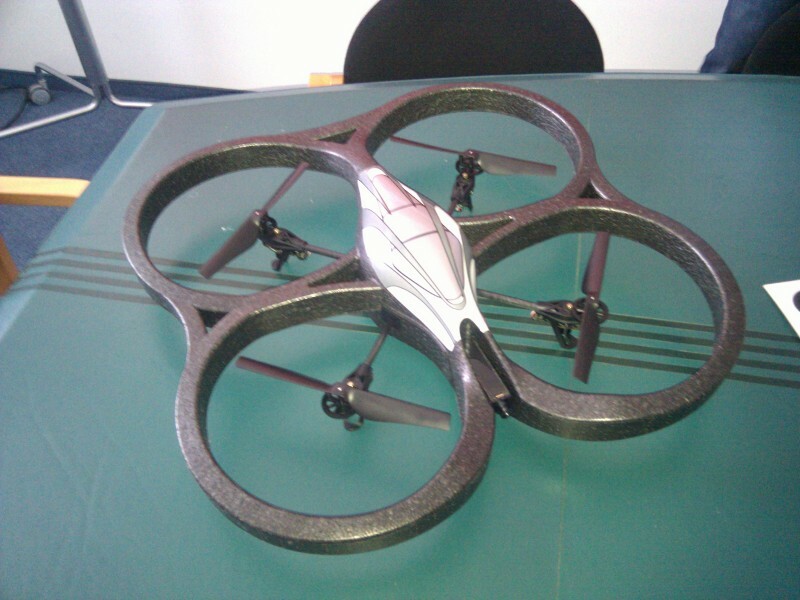 It is marketed as a drone which is controlled by an iPhone app. However there is a demo Android app (which i did not test, yet) and the control protocol is documented (plain old AT commands). After making a few first flight attempts (using my brothers iPad) it was about time to take a closer look at the embedded linux stuff inside the drone. Not wanting to tear down the drone (yet!) and search for a serial interface, I decided to take a shot at the wifi. Probably all you need to do is to kill the closed source control binary named “programm.elf” or just type “reboot” if you see one of those drones fly by. And down it will go. Again, splendid security! So, it’s a great device for playing/hacking at a good price! But, the total lack of security (open wifi, open root shell) is really bad for a product that is pushed to average-joe consumers through major electronic retail stores!